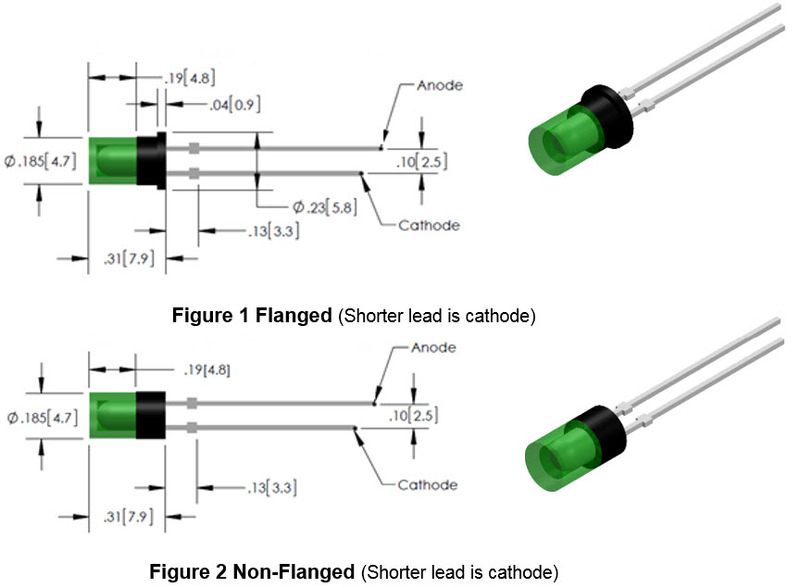 Dimensionally compatible with most standard 5 mm thru-hole LEDs. Drawing configuration and viewing angle are called out by adding the appropriate suffix code. 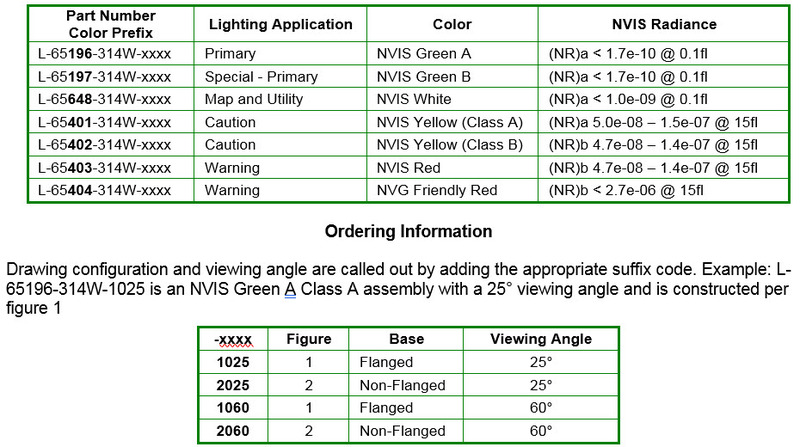 For example: L-65196-314W-1025 is an NVIS Green A assembly with a 25° viewing angle and is constructed per Figure 1.